SURJ NYC is open to all. We hold monthly chapter meetings on the first Thursday of each month from 6:30 to 8:30 pm — check our Facebook page for location. If you’re new to SURJ, there’s a quick 30 minute orientation at 6pm before every chapter meeting. We are committed to moving white people into action for racial justice while deepening accountability relationships with people of color led organizations and coalitions. 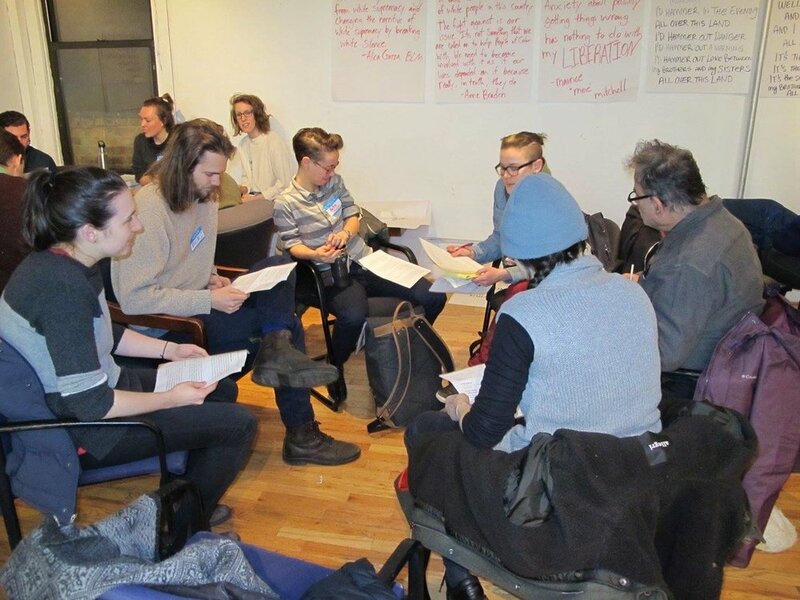 The working groups are the main drivers of SURJ NYC’s work and they each hold monthly open meetings that new members are welcome to attend. If you have questions, feel free to reach out to one of the members listed below as a working group coordinator or liaison. 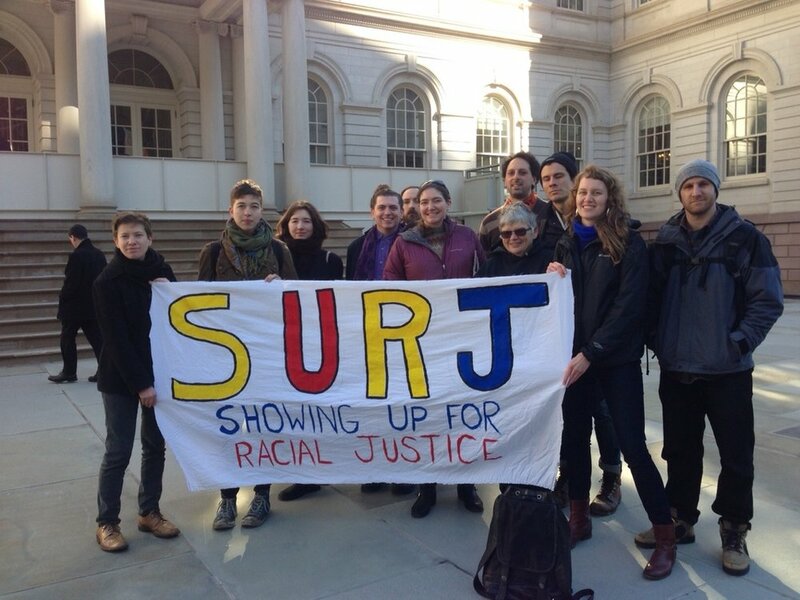 Members who participate in working groups are considered active members of SURJ NYC and are added to a listserv for internal communication. Anti-Mass Incarceration (AMI): Works with local and state wide organizations on anti mass incarceration issues. 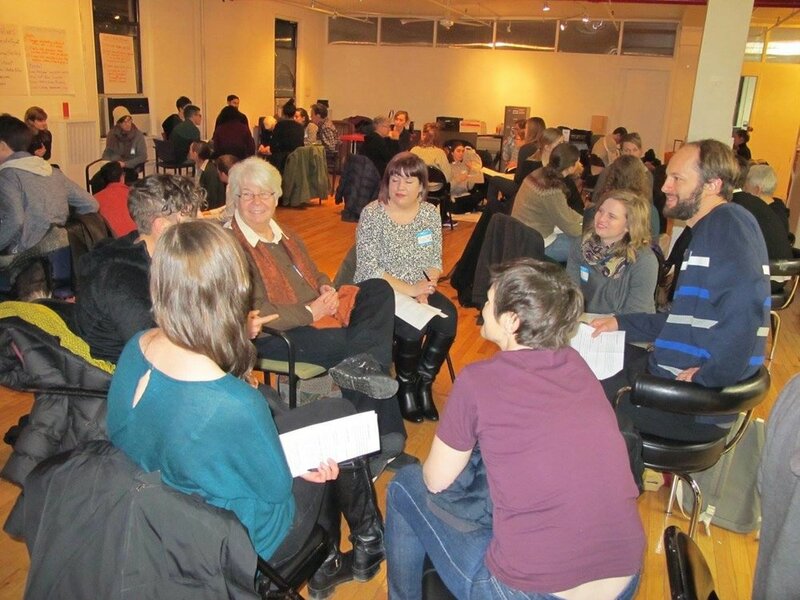 Base Building (BB): Expands our membership and welcomes folks into SURJ NYC through events, study groups, house parties, film screenings & more. Engages in deep canvassing door knocking campaigns. Orients new members. Communications (Comms): Distributes weekly update to general membership. Maintains website and social media. Coordinates media training and asks from media. Manages all data relating to membership. Coordinating Committee: Ensures NYC SURJ is in integrity with its purpose. The CC does this by liaising with national SURJ, helping to ensure that accountability relationships are maintained, maintaining and innovating effective organizational structures, evaluating strategic planning and overseeing finances. 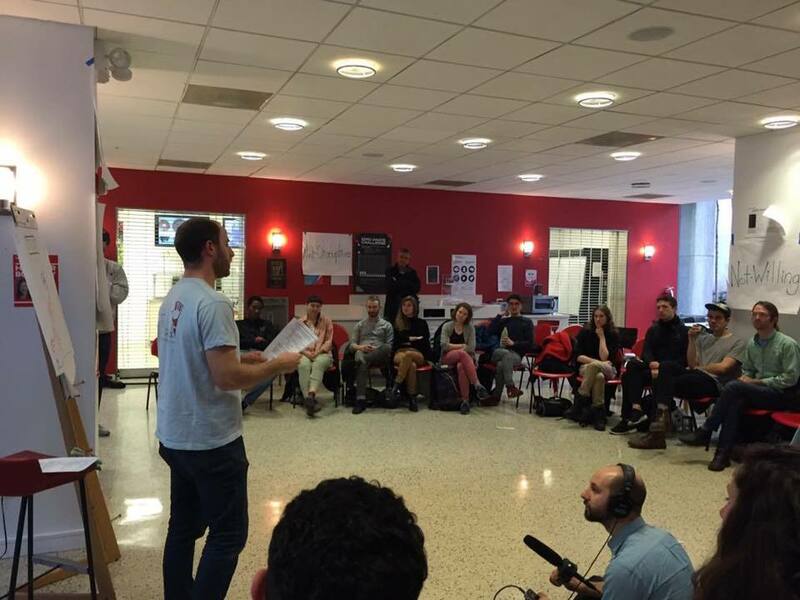 Deep Canvassing: Helps break down white supremacy culture in white communities. We train our deep canvassers to recognize ways that white supremacy culture (white fragility, perfectionism, resource-hoarding) stops white people from organizing for racial justice. We work on storytelling and active listening skills to develop our empathy and vulnerability in resistance to that culture. Then we turn outward, going door-knocking in white communities to talk to our own people about racial justice. Police Accountability (PA): Works with local organizations on police accountability issues. Neighborhood Groups: Created by SURJ members to work on specific local issues and opportunities with neighbors. The work is locally relevant to the neighborhood and offers a unique opportunity to build relationships and strategize how to actively build a base of white people determined to uproot our internalized racism and dismantle systems of injustice within our community. If you’re interested in getting involved in any of the neighborhood groups, please contact surjnyc@gmail.com and we’ll get you connected to the right people. Please contact us if you would like to get involved with a working group; although we highly encourage attending a chapter meeting first if possible.